Turkey. 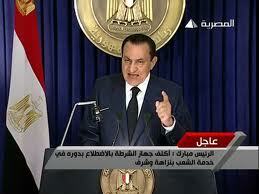 A role model for Egypt? Turkey is regarded as a model for a regime that will strengthen the democracy, but the differences between the two countries are large. There are two large and important non Arab Muslim majority countries in the Middle East; Turkey and Iran. The possibility that the revolution in Egypt would provide the Muslim Brotherhood increased influence has led to fears in the neighboring countries that it would end up with an extremist Islamic regime just like in Iran. Turkey and Egypt was once a part of the Ottoman Empire, but ever after it collapsed at the time of First World War, the development of the two countries has turned different directions. The Egyptian constitution states that “Islam is the State religion” and that “The most important basis for the legislation is Islamic Jurisprudence (Sharia).” The Turkish constitution on the other hand states that the country is a secular, non-religious republic, and the basis for the state’s population. 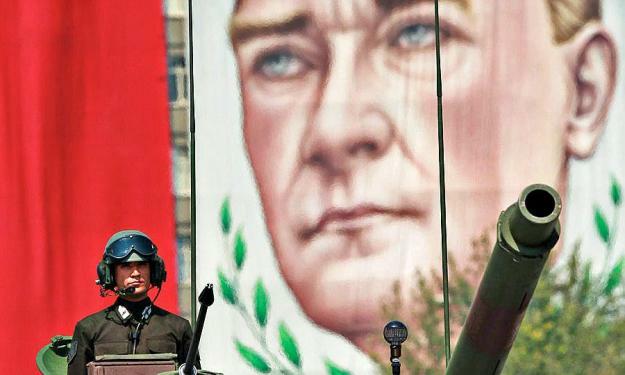 The modern day’s Turkey’s founder; Mustafa Kemal Atatürk wanted to create a modern nation. One of the examples is that the traditional headscarf was prohibited in public places and the Arabic alphabet was replaced with the Latin alphabet. The military was tasked by the government in 1961 to protect the Turkish republic’s integrity and secularism as described in the constitution something the army takes very seriously. Both under Gamal Abdel Nasser, Anwar al-Sadat and Hosni Mubarak, Egypt as a modern state has been characterized by sole ruler to a limited extend and haven’t allowed political oppositions. Nasser was a charismatic leader and Mubarak was a leader with not much support but with a determination to rule as long as possible. Despite all the differences, we can speak about Turkey as a model because of its bright developments over the past 10 years. After being a candidate in the EU in 1999, the requirement to fulfil the Copenhagen criteria for membership weakened the military’s role in Turkey. The National Security Council, where national security policy issues are discussed, have also been reformed and now consists of more civilian members than before when there was an emphasis on military officers. An attempted military intervention was still made as in 2007 it was revealed that there existed a right-wing military network that was planning a coup. Since March 2003, Prime Minister Recep Tayyip Erdogan and his Justice and Development Party (AKP) have been in power. It is a moderate Islamist party, such as; that wishes to go in for a Turkish EU membership. This kind of moderate form of Islamic rule won’t happen over night in Egypt and if it would happen, then it does need a better functioning multi party system. A survey conducted by the polling institute Pew Research Center before the protest wave began, shows clear differences between Egypt and Turkey. 72% of Turks see democracy as the absolute best form of government. 50% Egyptians do the same. 85% of Egyptians believe it is positive that Islam has an influence in politics and the number in Turkey is only 38%. When it comes to Islamic extremism, 61% of the Egyptians are strongly or partly concerned about it, while in Turkey 40% of Turks feel the same. While 52% of Turks see a conflict between the forces that will modernize the society and the fundamentalists, only 31% of Egyptians think the same. These numbers show that the Egyptians do want religion to play a role, but it gets disturbed by the extremists. In Turkey, the democratic way of thinking is quite strong, and soon 90 years of separation between state and Islam seems to have entrenched themselves. Turkey is an important model not only for Egypt but for the whole Middle East as it appears as a mediator whenever the storm hits its neighbours. While Gül will be remembered for his positive achievements, the Arab leaders will be remembered for their dictatorship, corruption and lack of respect for democracy. Important export: Electronics, textile, agriculture products. Living: Number 83 on UN’s list over 182 countries. Corruption: Number 56 on Transparency s list over 180 countries, where 1 is least corrupt. Important export: Oil, cotton, metal products. Economical growth: 4, 6 %. Living: Number 101 on UN’s list over 182 countries. Corruption: Number 98 on Transparency s list over 180 countries, where 1 is least corrupt.